Information Security Magazine by InfoSecurity Russia met with Alexey Andriyashin, Lead Systems Engineer at Fortinet Russia and asked him about Fortinet vision of Russian market, how the import substitution influenced Fortinet policy and which market gaps can be successfully filled up by international companies. Alexey believes that any crisis can be perceived from a positive standpoint. Fortinet office in Russia is constantly growing and as Alexey stated, import substitution made it possible for Fortinet to get involved in even more intensive development. 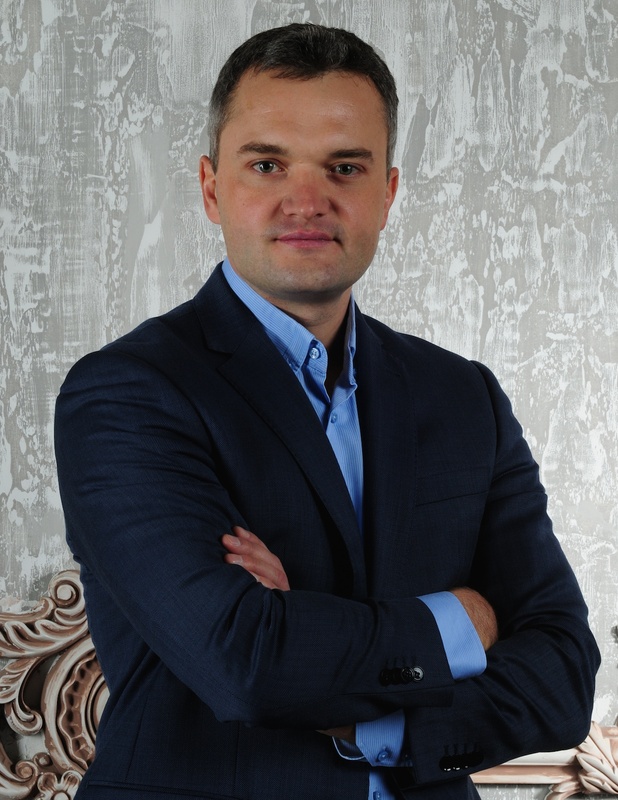 "... now is a good time for new players to enter the market and try to integrate with existing solutions..."
Alexey explained, that many traditional suppliers are now experiencing difficulties as customers are reviewing their budgets and now is a good time to offer some interesting new products that are different from traditional solutions. - Which markets have become most crucial for you in Russia? What can you offer for them? - We currently work with almost all verticals: financial sector, state-owned companies, commercial institutions. And we do not distinguish one company from another, since almost all companies develop information security system using virtually the same scenario. Naturally, there are some differences and some nuances of the implementation, and here it is possible to separate two main approaches to building the information security system. Either the companies to offer information security services, or the companies ready to consume such services. - Which regions are most attractive for companies in the network security system? And for Fortinet, in particular? -Well, situation with the central region is clear. Customers up to the Urals are those which we are actively working with, almost around the clock, however now we are very actively looking beyond the Ural mountains as well, even beyond Lake Baikal, I would say, which means that Far East region is a priority for us now, which we work with dynamically. Besides, markets of the former Republics such as Kazakhstan, Uzbekistan, Tajikistan and other countries, represent a very strong interest to us. This is due to an extremely energetic development of IT as a whole, as well as of issues particularly related to information security. -It means that you are opening new offices all over Russia directly or you doing it through distributors? Basically, we are working through the distribution network. At the same time, we have full-fledged Fortinet representative offices in Russia and Kazakhstan. - What is the main target audience? I mean, what kind of business is your main customer? Large businesses, small-sized, or medium-sized? Any market is attractive for us, we work with all, and we are ready to offer certain solutions for each of them. That’s why, in the Fortinet product portfolio the solutions are divided into several areas, classes, and are designed for medium-sized businesses, large and small enterprises, major companies, telecom operators, large holding structures. How has the policy of your companies been influenced by import substitution? Their work, in particular. - Let's say that the import substitution issue has somehow conversely made it possible for us to get involved in even more intensive development, as, naturally, we are currently forced to comply with all local requirements, including with those concerning our solutions certification. And global leadership of our company pays particular attention to this being proactive in supporting our activities relating to solutions localization. We already have the certified solutions. We are also actively and continuously engaged in the new models certification. Therefore, all the issues related to import substitution are being addressed very promptly using our domestic forces and means, and we are ready to operate in the current circumstances, which, as it seems to us, in no way impede our business. The company’s office is constantly growing, so we are actively evolving and growing in the environment being seemingly difficult at first glance. Any crisis can be perceived from a positive standpoint: new perspectives, new ideas and solutions are given birth. - Are you using other vendors’ solutions in your products, maybe even Russian? - Fortinet is the only company with security solutions for network, endpoint, application, data center, cloud, and access designed to work together as an integrated and collaborative security fabric. This also means we are the only company that can truly provide you with a powerful, integrated end-to-end security solution across the entire attack surface along any point along the kill chain. If we talk about the key elements, key service modules that are used in our solutions, we imply our own developments. Nevertheless, there is an opportunity of very flexible integration with existing infrastructure and other solutions,including with those of domestic made. There is an example of our solutions implementation and close integration with domestic DLP solutions, antivirus solutions, information security management systemSIEM systems.. Nevertheless, there is an opportunity of very flexible integration with existing infrastructure and other solutions. - What advice would you give other foreign companies, which are now contemplating to enter the Russian market? - I would advise foreign companies hesitating to enter the Russian market to cease the moment and to make use of the current situation, use it for own benefit. Many traditional suppliers that felt comfortable one-two-three-or-four years ago are now experiencing difficulties caused by the fact that the pricing model does not meet the current requirements. Customers are reviewing their budgets being unable to afford to use even those solutions that have already been implemented. That’s why, now is a good time for new players to enter the market and try to integrate with existing solutions and to offer some interesting new products that are different from traditional solutions. - Basically, solutions that would let you manage and analyze information security risks and make it possible to be integrated with other market solutions in order to enable the opportunity to see a comprehensive picture of what is happening from the standpoint of analysis, as well as the opportunity to control the information security processes. Any solutions related to SDN technology, as well as solutions integrated with such technology will also be rather attractive in a growing market at this moment. Besides, solutions related to providing or ensuring protection of mobile devices, mobile users, since this trend is developing very actively and the market lacks such solutions to improve security, including the security of mobile workers. If you need to get a better idea of potential demand and competition including potential margins, restrictions and regulations on Russian Market Complete this Survey and our team will provide you with a white paper in 5 business days.